Today’s vehicles are primarily computer-controlled and utilize sophisticated technology to operate properly. 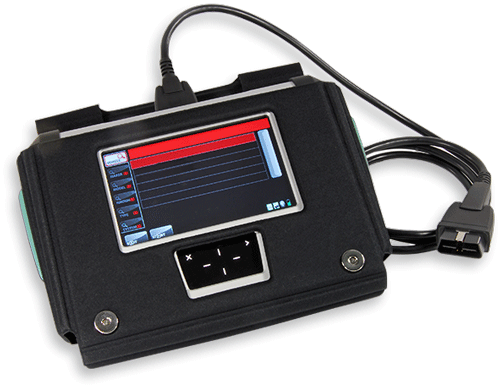 The use of this technology plays a significant part in the diagnosis of your vehicle’s performance. When your vehicle is illuminating the dreaded “Check Engine” light or not running properly, Computer Diagnostics are often needed to determine what part is malfunctioning. In the event that you run into car trouble, Milex can help. Something as simple as our Computer Diagnostics testing can usually indicate any internal vehicle issues. When a warning light is illuminated, this means the onboard computer system in your vehicle has detected a problem or service need with one or more of the many different systems it monitors and controls, such as your engine or transmission. Therefore, we recommend our Computer Diagnostics service to provide you with an accurate assessment of your vehicle’s condition. Milex Computer Diagnostics services utilize state-of-the-art equipment, which is connected to your vehicle to view any computer trouble codes.